Title III of the Higher Education Act of 1965 was enacted to provide Federal assistance for a program to strengthen and improve the academic quality, strengthen the administrative capacity, and establish an endowment fund in order to achieve growth and self-sufficiency for developing institutions. The Title III Program began as part of the Higher Education Act of 1965, which sought to provide support to strengthen various aspects of the schools through a formula grant program to accredited, legal authorized HBCUs. Title III has funded project activities designed to help meet various strategic goals of the University. Title III of the Higher Education Act of 1965, as amended, authorizes these grants to strengthen institutions in the areas of Academic Quality, Fiscal Stability, Student Services, and the quality of Institutional Management. 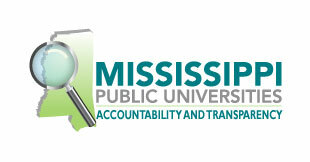 MVSU is the recipient of two federal grants that are managed by the Title III office. They include the Title III HBCU Program and the Mandated/SAFRA (formerly College Cost Reduction Act Allocation/CCRAA) Program.